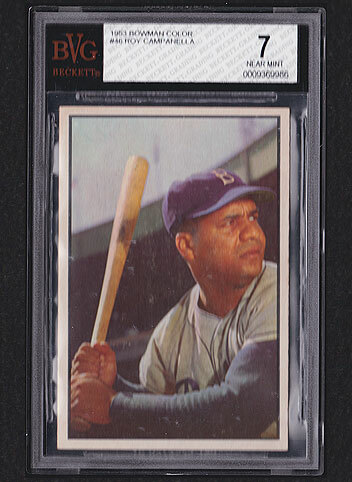 Want to see all Roy Campanella Baseball Cards in inventory? 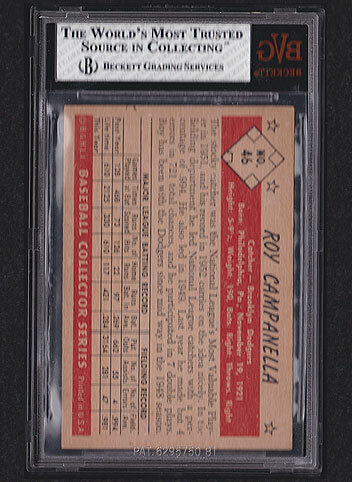 Details: Beautiful 1953 Bowman Color Roy Campanella #46 graded BVG 7. Case has a few touches from being shuffled in a stack as seen in scanned images. Those are not on the card. Solid card. Solid grade. FREE SHIPPING & INSURANCE!